One of the first questions to pop up when shopping for higher end kitchen knives is whether you are looking at stainless steel knives only or if you are open to carbon steel. Maybe you hadn’t considered it yet, but carbon steel is not new by any means; the very first steel made was carbon steel. In the kitchen knife world, it has been on the decline in favor of the convenience of soft stainless knives that take a beating but not an edge since the 1950s. However, to this day, chefs value carbon steel for edge taking and ease of sharpening. Favored by the most famous celebrity chef, Julia Child, and the great French chefs who shaped cuisine before that, it evokes a certain romance. A je ne sais quois that makes mass produced stainless steel feel dead by comparison. Shopping only stainless knives will severely limit your choices from some of the best handmade knives. It’s like learning how to drive stick shift; you are much more in tune with how your knife ‘works’ and it opens a new market you can choose from. I hope to enlighten you on the properties of carbon steel knives and proper care. If you choose stainless anyway, at least you know what is out there. Steel is fundamentally an alloy of two elements: iron and carbon. On top of that, stainless steel adds somewhere around 13%+ chromium, depending on the exact steel, to the alloy to make it resistant to rusting when in contact with acids. I say resistant because no steel is really rust proof. Stain resistant is more accurate than stainless. If you leave it dirty and wet overnight in the sink, even stainless knives will rust eventually. Therefore, the next time you read a review where someone complains that their stainless knife rusted, you can safely ignore it; that’s a user error. The big problem with rust is its insidious nature of spreading to more rust. It’s a rough surface, thus creating more surface area for oxygen to react and make more rust. If left unchecked, eventually you’ll have a deep pit in your knife. When you sharpen up to that point you’ll have a hole in the edge! There are a number of ways to limit and contain rust on steel that I want to discuss. This level of vigilance is mostly only required for carbon steel knives. Carbon steel reacts to acid a lot faster than stainless steel does. Your mind probably goes to citrus fruit and tomatoes first, but even pyruvic acid in onions count. 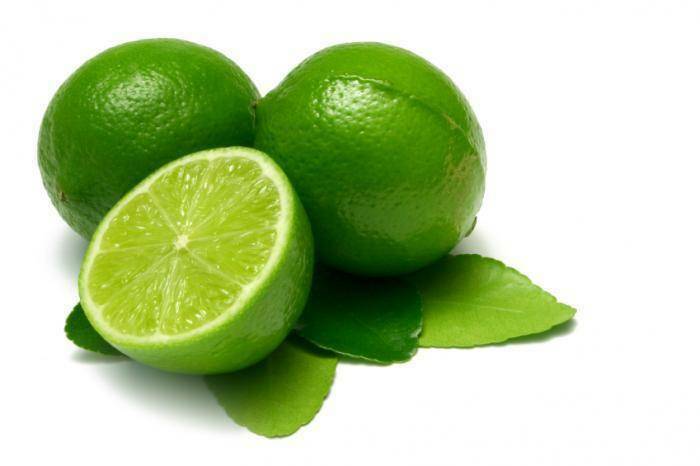 If you cut something acidic, rinse the knife and dry it immediately. Eventually if you let the patina build up, your knife will be less reactive over time. You can also rub your knife down with a slurry of baking soda (a weak base) to help limit reactivity. Consider keeping a stainless steel knife around for acidic fruits. Behind the bar for example I have a little stainless petty knife to cut lemons and limes. My butchering knives are carbon steel because I know protein doesn’t make it react and actually helps build patina. This is a big one. We already talked about the reaction forming rust, Fe2O3. There is a second iron oxide that can form that is more stable. Instead of the unstable rust that gets out of control making more rust, you can form a patina of Fe3O4, the ‘black’ iron oxide. Depending on what you cut, you may see your carbon steel knife turn various hues of blue, purple, grey, brown, or black. Anything but reddish orange is good! This patina is limited to the surface and actually since it has used the iron and is a stable compound, it even prevents rust from forming! Certain foods will promote patina building faster, like cutting lots of meat or soaking your blade in blood. Plantain skins actually contain tannic acid, the very same active ingredient as found in commercial rust converters that turn rust into that unreactive patina. You can force a patina with mustard or warm vinegar, potatoes, there are many options. Here are two of the same brand carbon steel chukabocho. The one on the left has a forced patina and has been used and sharpened longer. The one on the right is just beginning to form patina along the edge where it is contacting food. The patina on the left carbon steel chukabocho is already formed, while on the other knife is starting to form. Carbon steel knives hate neglect. If you have too many to use them all or if you live somewhere humid along the coast, consider wiping down the surface with a drop of oil. Don’t just pick any oil though. I had a knife from Thailand that shipped with plastic wrap around vegetable oil. A layer of polymerized vegetable oil on your knife is not fun to clean off; it takes lots of soap and scrubbing. Avoid this problem by using the traditional oil for storing knives: tsubaki oil. It’s sold in specialty knife stores but also online. Even with perfect usage and maintenance, you will see rust someday. I live in a coastal city and in the summer the humidity wreaks all sorts of havoc. It’s not the end of the world! There are many ways to remove the rust. I keep around some 3000 grit wet dry sandpaper that cleans off rust fast but doesn’t scratch the knife surface too much. Sushi chefs rub their knife with a piece of daikon. You can use an abrasive metal polish like Flitz or a chemical one like Barkeepers Friend (also makes a grey patina in addition to removing rust). Anything is better than letting rust grow. 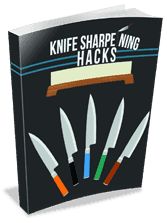 I think with those basic tips, anyone can consider using carbon steel knives. However it is important to note that stainless steel knives have their place too. Modern stainless steels can be tempered as hard with as much edge retention or even better than carbon steel. The only area that carbon steel always wins is ease of sharpening, which is great for anyone doing their own sharpening. When I shop for wedding gifts, I pretty much look at western handled stainless steel knives exclusively. It also makes sense for a busy line cook in a restaurant who may not have the time for constant knife cleaning and drying. I discuss some of the popular kitchen knife steel options, both carbon and stainless, in this article about Japanese chef knives. Whatever you pick, keep it sharp and enjoy cutting!